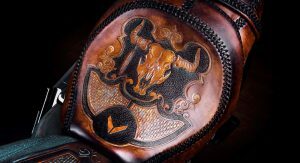 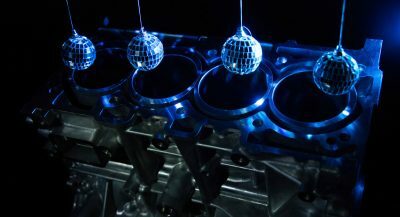 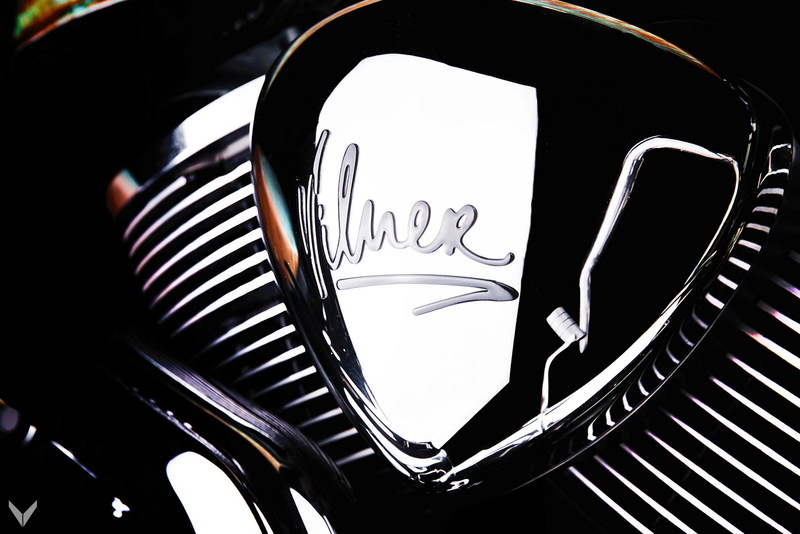 If you haven’t figured it out yet, Vilner always pushes its artistic boundaries when it comes to customizing, leaving its wonderfully crafted, unique mark on just about anything. 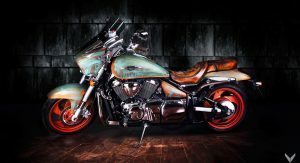 The Bulgarian tuner slash coachbuilder’s latest project, a 2012 Suzuki Intruder M 1500, perfectly reflects the company’s style and attention to details. 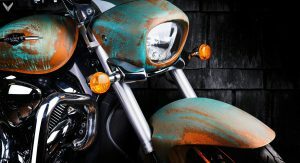 Like any series of cruiser motorcycles, the modern Suzuki Intruder (known as the Boulevard in some markets) was conceived with an eye on the past, reminiscent of the early Harley-Davidson, Indian, Excelsior and Henderson cruisers. 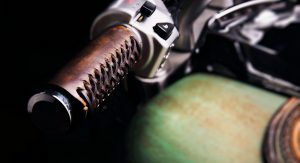 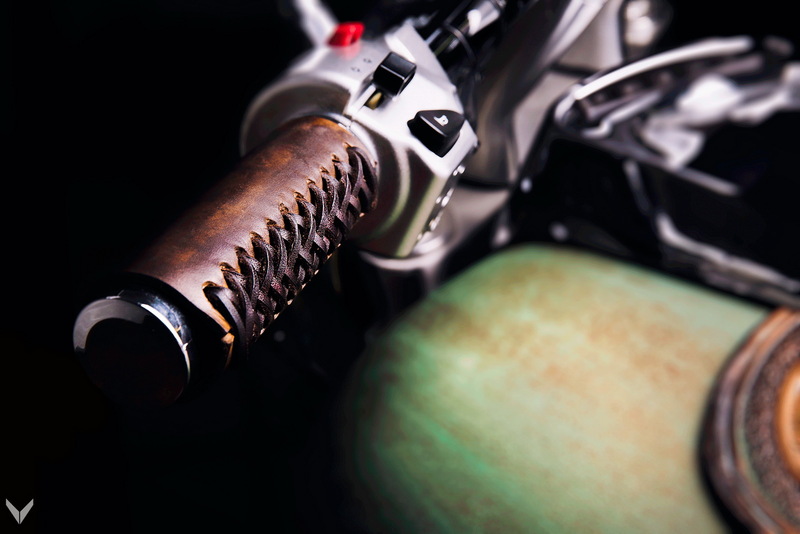 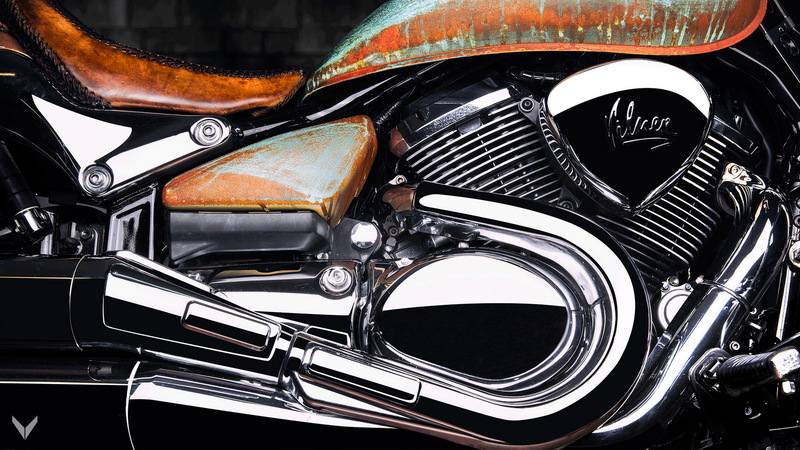 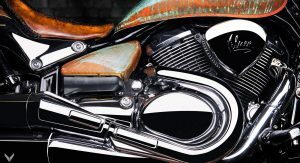 Still, its contemporary details never did make it into something resembling a vintage “hog”, but Vilner transformed the bike into a one-off mix of traditional leather treatment methods and state of art painting techniques. 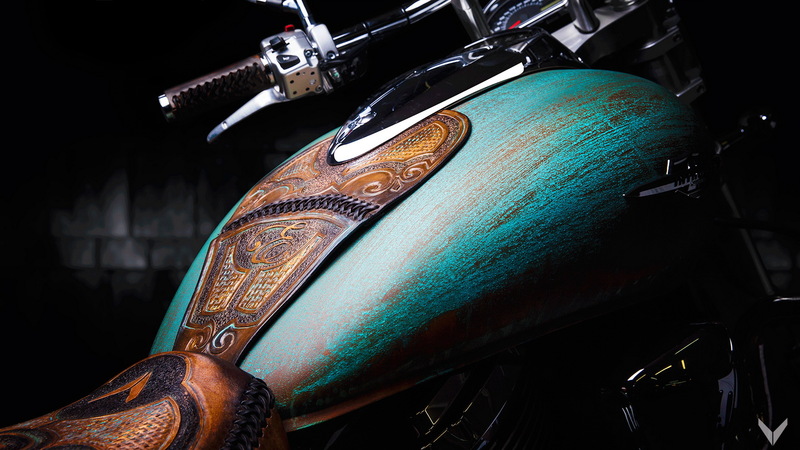 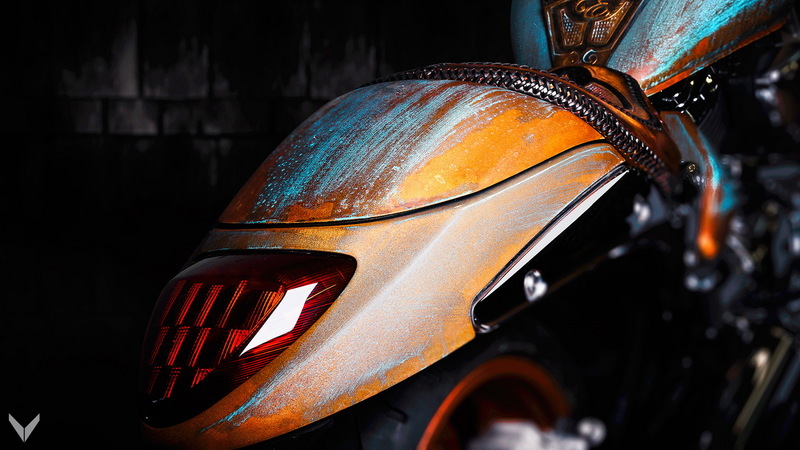 The result is described as a “piece of art”, as it’s the tuner’s first machine finished in a paint job that mimics patina. 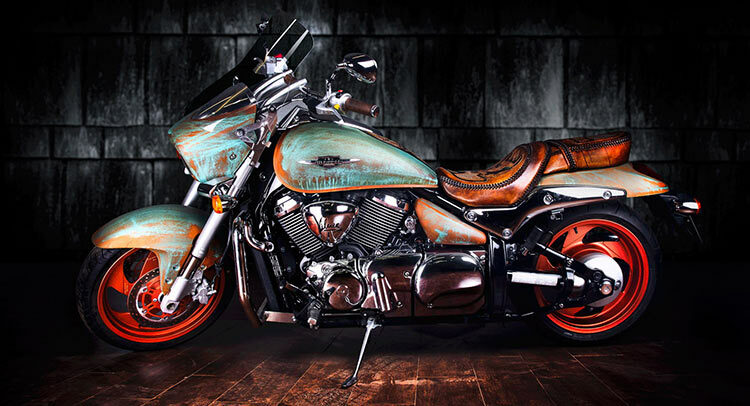 It’s not wrapped in a custom vinyl, but rather painted in “patinated copper” – a complexion achieved by layering no less than six coats of paint and agents, finalized with a special set of brushes. 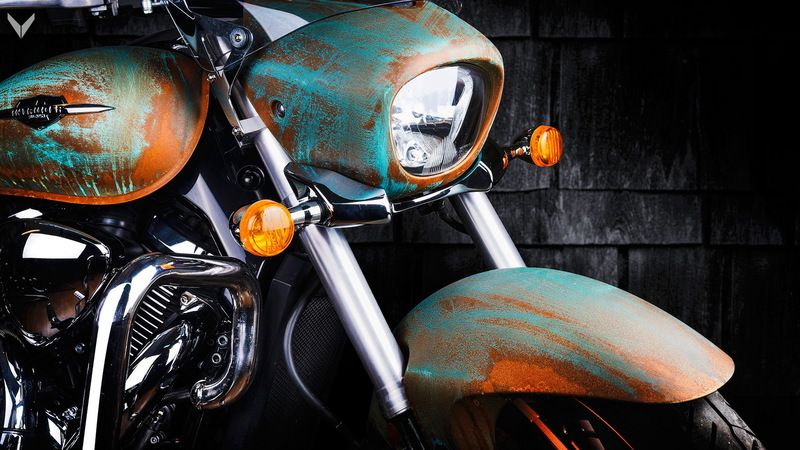 The coating is described as extremely durable and waterproof, with a unique texture. 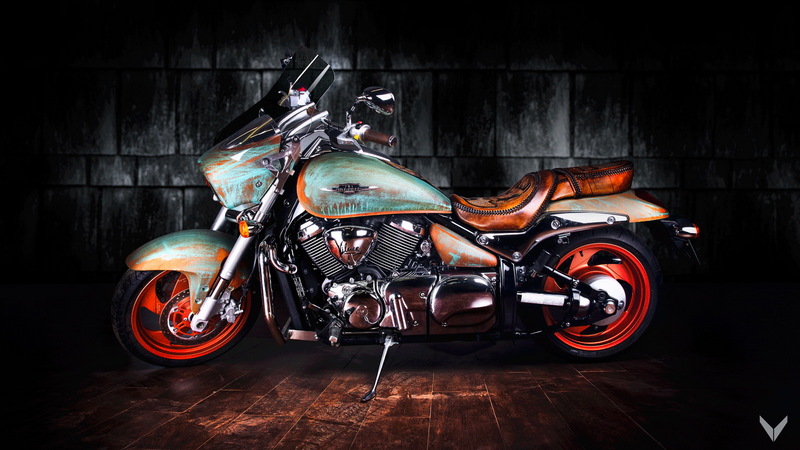 The vintage rat-look is complemented by the “copperized” rims and brake rotors. 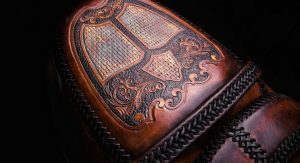 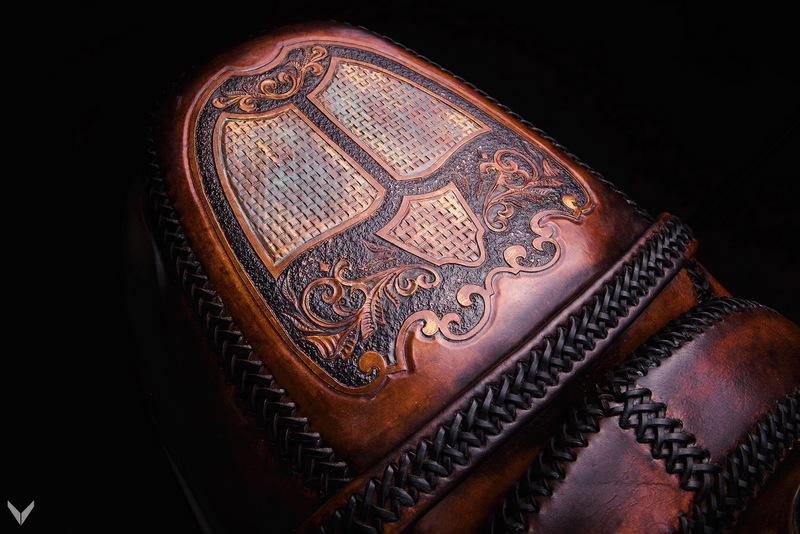 Completing the motif is the natural vegetable-tanned leather that has been hand carved using traditional techniques. 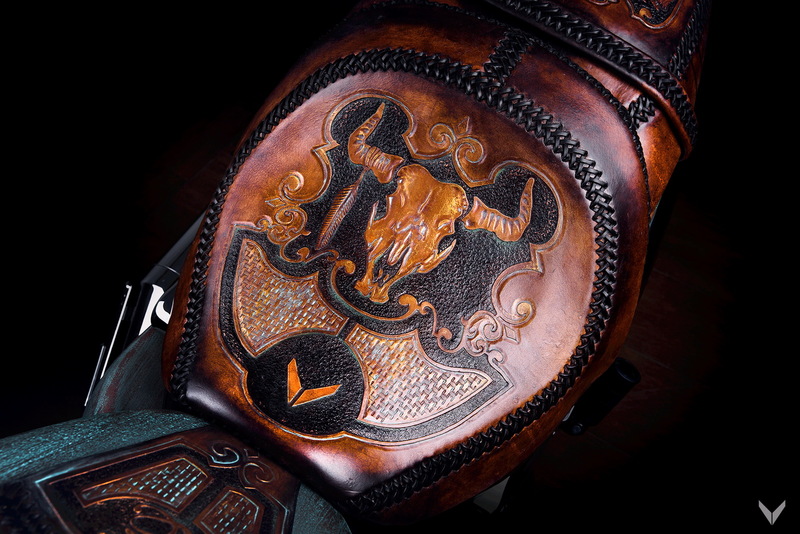 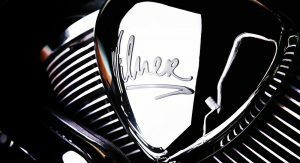 The bull’s skull and also the ‘V’ logo present on the seat goes well with the 328 kg (723 lbs) bike’s 1462 cc, 68 hp, 115 Nm (84 lb-ft), V-Twin engine.